I’ve been going into the facility every day, and working with the trainers there on a lot of different things. We start with massage therapy and soft tissue work on my whole leg, foot, and ankle, trying to get some of the swelling out. After that, I do some manual resistance stuff, leg extensions, leg curls and that type of thing. The goal there is to achieve better range of motion, and maintain strength in my hips, and my calf, and quad. It is not simply the injured joint that suffers. The entire body is thrown off. 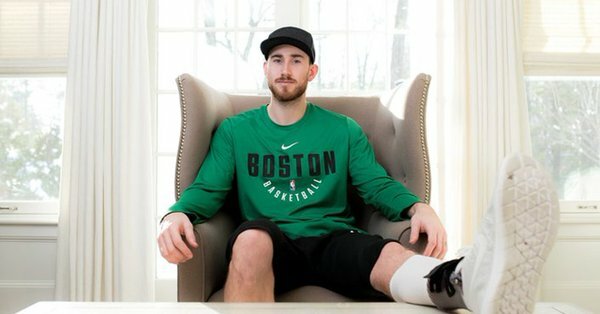 Even the good limb (Gordon's right leg) doesn't function normally with the injured leg in a cast or boot, or with Hayward on crutches. The entire left leg has lost muscle mass, and all of the joints (ankle, knee, hip) become stiff from disuse. The ankle no longer wants to flex, extend, rotate or do any of the things it was constructed to do. And any rehab directly focused on the injured ankle will result in pain and later stiffness and swelling. I’m also making sure the rest of my body stays in shape. So after all that leg work, I go to the weight room and I do a weight workout. One day, it will be an upper body workout and then conditioning at the end of it. The next day, will do lower body and then conditioning at the end of that. Obviously, I want to stay in as good physical shape, as close to what I was when I went down as I can. So it’s about trying to do something conditioning-wise to try to keep my heart rate up and trying to maintain some of the muscle that I had in the other parts of my body, even though right now I can’t load as much on the left. Then at the end of the workout, I go to the basketball court and do as much basketball work as I can. I’ve recently started to do some stuff standing up, so I don’t have to use the chair to shoot anymore. I can just shoot with the boot on, staying straight up. It’s non-movement stuff for now, but I can handle the basketball just standing straight up and do different drills like that. Gordon Hayward's theme right now is, "Be better today than I was yesterday." As difficult and painful as the rehab can be, it is the easy part. Anyone's life can change in a heartbeat, and Gordon's did. Going from a soaring, elite athlete to a stretcher-bound injury victim in only seconds can take a toll on anyone's psyche. 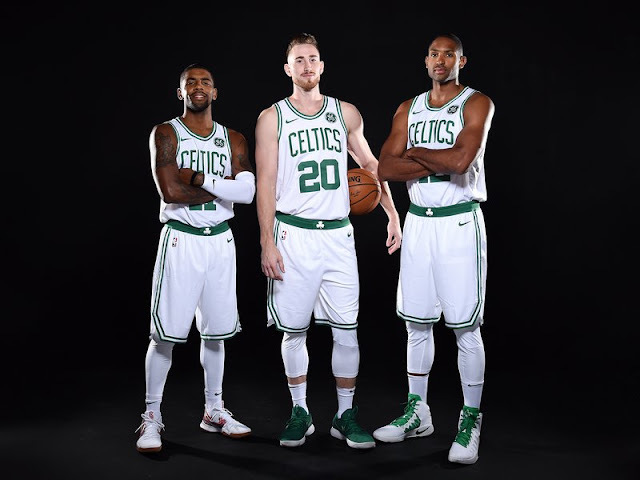 More on Hayward's progress from the mental side (and personal thoughts on teammates) in Part 2.